AACEA Washington: Washington Alcohol Training – What is a MAST Permit & Why Might I Need One? Several U.S. states require some form of Alcohol Server + Seller Education for anyone and everyone who serves, mixes, or sells alcohol. Washington State officially made this a requirement in 1995 when legislature passed a law requiring that everyone who served alcoholic beverages needed to complete a state certified Mandatory Alcohol Server Training (MAST) course and receive a MAST Permit. The WSLCB (Washington State Liquor Cannabis Board, formerly known as the Washington State Liquor Control Board), facilitates the MAST program, but private companies (like yours truly) provide the MAST Course and issue MAST Permits to those who need them. Becoming certified as a Washington State MAST Program Provider requires a stamp of approval from the WSLCB which only happens after the WSLCB reviews a course and confirms that it has met each of the MAST Program requirements. AACEA Oregon: Growler Fillin’ Oregon Alcohol Server Permit Requirements + A Little History! If filling growlers is one of your job responsibilities – whether you work at a restaurant/bar, liquor store, brewery, grocery store, or anywhere else – you will need to take a certified Alcohol Seller/Server Training course to get an Oregon Alcohol Server Permit. This will ensure you are compliant with the Oregon Liquor Control Commission’s (OLCC’s) laws and regulations. The OLCC defines a growler as a refillable, securely-covered container that is sold to a consumer at retail, can hold up to two gallons or less, and is used to transport beer, wine or cider. If you’re curious about the history of growlers, you can check out a brief history lesson below! The exact origination of the word “growler” is hard to pinpoint, but there are several theories as to how the term was deemed – it’s up to you to choose the one that resonates most with you! But then again... why can't they all be true? AACEA Oregon: How Do I Get My Oregon Alcohol Service Permit? If you need an Oregon Alcohol Service Permit to perform your job, AACEA Oregon provides an online Alcohol Server Education course to help you get it! Before you sign up for the course, we thought it might be helpful to provide you with some information regarding the two-step process you will need to complete before you can receive your Oregon Alcohol Service Permit! AACEA Washington: What Is The Difference Between A Class 12 & Class 13 MAST Permit? If you need a Class 12 or Class 13 Washington MAST Permit, AACEA Washington makes it easy for you to get certified online. But before you get started, you may be wondering what the difference is between a Class 13 MAST Permit and a Class 12 MAST Permit. We would be happy to help break this down for you! Recently we celebrated 13 years in the business of conducting MAST Training (aka as; Class 12 and 13 Permits, Alcohol Server Training Card, Liquor Permit, Bartender License etc.) for the WSLCB. Through the years we have developed and maintained relationships with so many different people and Establishments. So in reality, this blog is more of a thank you to all of you. For every person who went through our MAST class room classes to those who first signed up for our Online Certification and patiently worked with us as we worked out the bugs. When I look back at the last 13 years I am at times humbled by the welcome we received from the Owners, Managers, and staffs of the establishments’ through-out Washington. 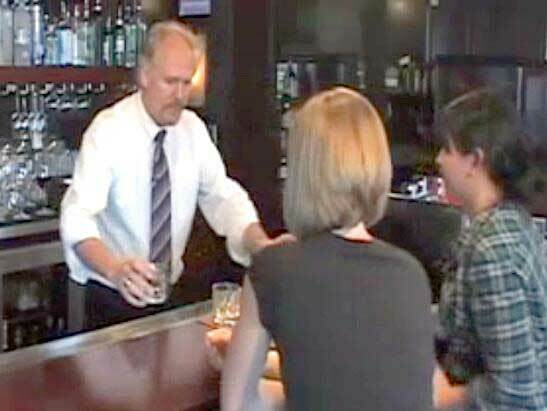 I was a guy with an idea and a lot of determination that I could make the business model I had in mind to conduct Alcohol Server Training Seminars. I hope this finds you having a great day and you are enjoying your summer. On the 4th of July my wife and mines festivities got rained out and we ended up in a Sedona AZ restaurant and had a really enjoyable time, not only was the food great, but our server was awesome! It was fairly early in the evening so the dining room had yet to fill up and we were able to chat with our server. Let me tell you, the guy "gets" what service is. Towards the end of our dining experience he asked us what we do for a living, I told him we are in the Alcohol Server Training business, he looked at me a bit quizzical and I reiterated; Title 4 Training for the AZ DLLC. Heknew immediately what I was referring too and thus began the discussion about the perils of serving alcohol. Where Do Liquor Sales Tax dollars Go?